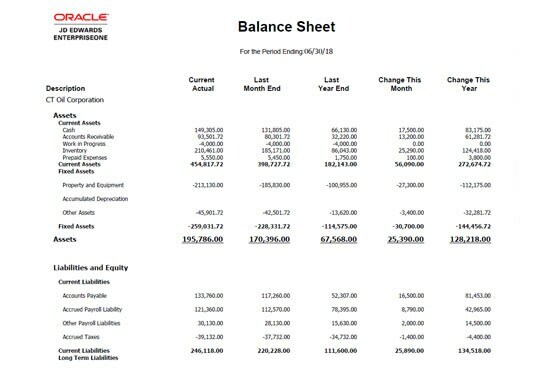 Oracle's JD Edwards EnterpriseOne One View for Financials gives you insight into critical financial information, including accounts receivable, accounts payable, and general ledger. 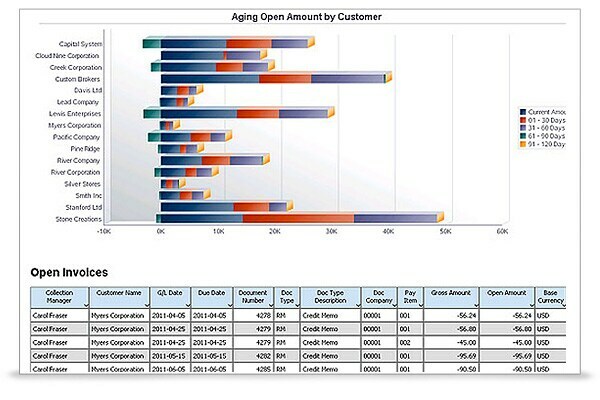 With access to real-time data and an intuitive interface, you can view and analyze financial data to optimize the financial health of your organization. One View Financial Statements is an additional feature that enables financial users to create, maintain, and generate financial statements easily without requiring assistance from IT. 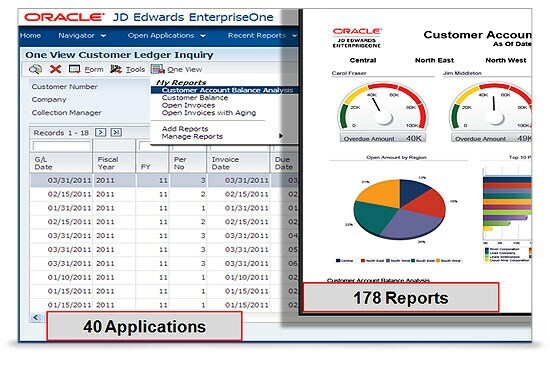 A large library of pre-defined reports addresses the most common questions. 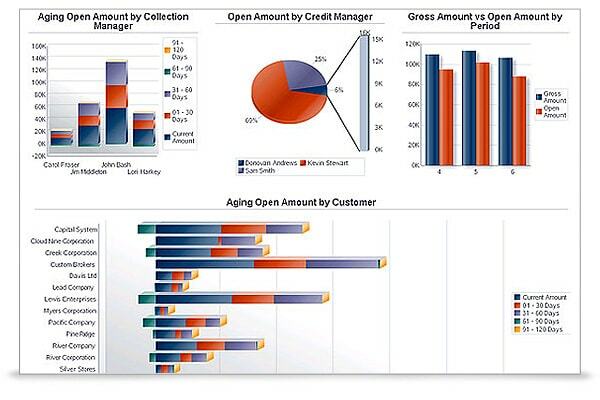 Reports can be in dashboard dials, charts, and graphs with the capability to drill into detailed information. 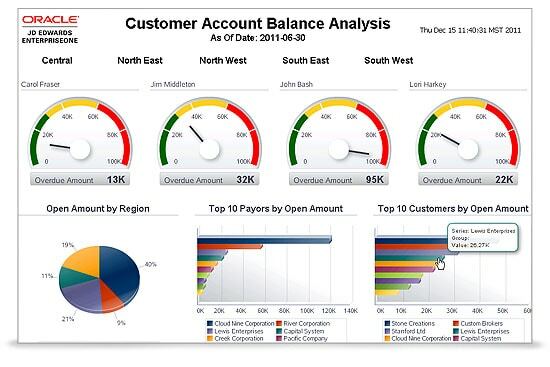 Role-based dashboards provide significant data, with deep detailed information readily available and actionable. Oracle's partner community of more than 20,000 partners (including more than 1,000 Specialized partners) provides you with solutions and services that meet your unique business needs.